5 star company and service, owner and team are great, fast and responsive. 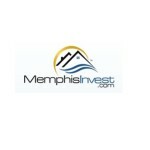 Recommend Elite Invest for any investors looking at multi units. Pleasure to work with Alex and his team! My wife and I have acquired 3 properties now from Elite Invest in Chicago. Alex, the owner took a lot of time helping my wife and I while deciding on properties. He made us feel comfortable after many calls, emails and a trip out there. We were quite nervous at first and then eased up after our visit out there to see their operation. The whole Elite team is really helpful, professional, and honest in every situation. They promptly got back to us on questions and were helpful getting us set up as new property owners. On top of that, they sent us text notifications whenever there was an approved tenant, passed inspection and whenever our tenants moved in. I enjoyed this very much. We own property in 2 other states and our PMs haven’t adopted this quote yet. Highly recommend this company for anyone looking to buy multi family apartments. No big surprises or major issues. I purchased my first property (a 2 unit) from Elite in December 2015. The purchase process took a bit longer than expected due to some delays in construction. My overall experience has been good thus far. The property passed my due diligence and we closed without tenants, which apparently is normal. Once I closed my escrow, the property took 37 days to place my first tenant and 49 days for my second —�a little longer than I would have preferred, but none the less the property has been cash flowing as I would’ve expected. No big surprises or major issues. I am in the process of buying another property with this group now. Great Company, owners are supportive and helpful. The property took longer to close than expected. My experience thus far has been great. I purchased a duplex from Elite and we closed the 1st of March. It is almost July and I have yet to have a renter in either unit. I follow up every few weeks and I have to follow up many times in order to get a response. When I finally do, I am assured that this season is "slower than normal" but that it will be rented soon. My insurance company is stalking me and threatening to cancel the insurance because the property is sitting vacant. Additionally, I stupidly listened to them when they said I really didn't need to do a home inspection since the city would so rigorously inspect the property before approving it for Section 8. We recently received a notice from the city in the mail last week that we may have to face "court action" because of a dangerous chimney. Alex assures me that his attorney is "taking care of it," but as of right now I am very disappointed in the experience thus far. 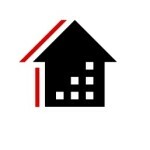 I really hope that it will get better and, if so, I will update my review, but if there is a better full-service property management company in Chicago, I am looking for referrals. Poor Communication and Poor Experience! First, Alex is a great sales person and he is great at customer service. Elite Invest manages many units and I feel that their management quality goes down with the more that they grow. I am just one experience but take it from someone that had them doing property management for three years with them. From initial purchase, I experienced "lipstick on a pig" from their turnkey operations. Make sure that you do a house inspection. I had visited the unit and I thought it looked fine. My inspector had a very different experience and showed me all the issues with it. The floors were double layered to cover the faulty issues. The roof was also out of code because the multiple layers of roof that they put on it. The inspector was afraid the roof would eventually fall in from the weight. The electrical was also in bad shape. I told Alex that I did not want the unit. He did find me another duplex that he said would be in excellent condition. Sadly, I believed him and I ended up purchasing it. The duplex that I purchased did not have any major issues the first year. There was some minor expenses but nothing that would deter me of any faults. However, my second year showed me how they really manage. At the end of the tenant yearly lease, the tenant immediately moved out. Elite Invest could not tell me why they left. I didn't think too much about it. However, I was surprised that it took them FIVE months to finally get a new tenant in place. I own other investment properties where it took at most two months so I was a bit surprised but I give them the benefit of the doubt. FYI, while writing this, five months is insanely high to do tenant turnover. On the start of the third year, the second tenant left the unit. Again, the tenant left without any reason. It was three months and Elite Invest could not find me a single lead or applicant. Luckily, I did find another property manager to replace Elite Invest. Alex said he would help me with transition and he would always be available to help me in the future which was nice. When the new property mananger took over, he was shocked in the condition of the unit. Remember, this was a brand new rehab just a few years ago. The property manager found trash on the backyard. Just to let you know, Elite Invest charges you a monthly gardening fee that also is supposed to do cleanup. I don't know why I was getting charged this monthly fee when there is trash just sitting there for months (from what the tenant told us). When the property manager entered the vacant unit, he smelled a horrible stench. The fridge was full of mold. To make matters even worse, he found a basement full of sewage. The new property manager also talked to the current tenant that mentioned they have been trying to contact Elite Invest for 6 months but they only got voicemails. Elite Invest ticketing system said there was NO COMPLAINTS in their system. It seems like their voicemails were going to the trash. I can relate to the tenant as my voicemails also never got responded unless I told Alex of my complaints. My new property manager started the marketing process after cleaning up the property. The cleaning process was not an easy task. He even had to repaint the vacant unit that I was charged my Elite Invest. I still doubt that Elite Invest did anything in tenant turnover. How can Elite Invest team repaint the unit but leave the sewage and trash in the unit? My new property manager had multiple leads the first day and he even found a tenant in TWO weeks of marketing the unit. It took Elite Invest five months to do the same thing. This is just my experience. I do know others that have had similar experiences but they probably won't complain especially if they are still being managed by Elite Invest. If you cannot find a better property manager, you are stuck with what you got. Investors be wary and do your due diligence. Your experience will be great the first year with them but you need a property manager that will be there so you can be a passive investor. I didn't get into turnkey investments to become an active investor and I highly doubt any of you want to be either. I purchased my first turnkey propert with Elite, and my experience was great. I'm a skeptic by nature, and super analytical, so I challenge everything, drill into the numbers, etc. to come away with my own conclusions about how something is going to play out, vs. just taking projections at face value. I connected with a number of Elite investors before completing my own purchase, just to get some additional unbiased input. I went to grad school at the University of Chicago, so I'm very familiar with the South Side (Hyde Park and surrounding areas). It's a very rough neighborhood, but the value you get in this area is pretty phenomenal. West of 94 has neighborhoods that are very rentable, and east of 94 along the lake is also very rentable, and probably has great appreciation potential over the next 10-20 years. If you're familiar with the Chicago neighborhoods, you can see that the only gentrification path left that makes sense is South along the lake. From an investment perspective, these buildings are attractive even if you assume no appreciation. However, if you consider that the same 3 flat brick structure that you might pay $300k - $350k for on the South Side would sell for $2M - $2.5M on the North Side, it's reasonable to think you'll see growth in value. All of that said, you need to set expectations properly. REI is not like buying and selling stocks. You need to expect and be ok with delays. My original target close was in early May; we didn't close until the end of July. Dealing with construction, the city, inspections, etc. all takes a lot of time, lots of unknowns crop up, and can be hard to project an exact date. You need to set aside additional money to cover the first 1-2 months of mortgage payments, insurance, and other costs on your own until you have renters in AND allow enough time for that income to hit your Elite account, and then later be disbursed to your bank. If you think you're going to start collecting rent income on day 1 and just use that to cover all costs, you're screwed. Just plan accordingly and you'll be fine. Lastly, Alex and team are honest, hardworking, and genuinely try to do right by their investors. That's probably the most important factor. End of day, they understand that they can only survive & thrive by bringing real value to investors. They have been around for 6-7 years now, and have maintained glowing reviews from investors that entire time. I'll be buying another building in early 2017. Highly recommend checking these guys out. This will be a recount of our experiences thus far, the reader can draw his own conclusions. A little over two years ago, I was looking to own property in Chicago, as my wife's family lives there and we visit semi-often. Originally, I was looking for a high-rise condo unit downtown that we would use when we were there. Ultimately, I could not justify the expense, and even if I was to use short-term renters to help with costs, it most likely would not cash flow. I began a search for a different sort of property, not sure what I wanted, and eventually found Alex as he was starting Elite. I want to emphasize that my own search turned up Alex, rather than him finding me or coming across him at a sales seminar. That made it more legitimate in my eyes, as I was not being pitched. Alex himself sold the concept of 2-flats in southside Chicago to us. It was his attention, thoroughness, and straight-up follow through that convinced us to take the chance. Being native to Chicago, my wife and her family thought us crazy to invest in southside. However, doing our due diligence as best we could, which included flying out to meet with Chris and touring buildings in various stages of rehab, visiting some of the areas in which Elite operates, and meeting with Alex to grind him down as much as we could about the downsides, a different reality began to contrast with our perceptions. Elite seems to have a handle on where to invest and that changed our idea of the southside as a monolithic no-invest zone. We went for it. We bought, over a couple of years, a total of 9 units. However, our optimism has soured. Elite paints an unreasonable picture of the ROI and the process. I am realistic myself, and if you are looking to throw down money and immediately start collecting fat returns with no delay, you are in for a rude awakening. Alex keeps his word, which is the best endorsement that can be given. He says something, it will come to pass. Things come up and get in the way, but if he says he will fix it, he will get it done in the end. The problem I have had recently is getting him to commit to fixing the growing issues I am having. We have had many issues with property management responsiveness. Alex has always been attentive in the past, and is working to fix the internal problems within Elite, but they seem to be mounting up faster than he can deal with them. Most recently, I have not gotten satisfaction on issues concerning water bills, and I feel he has been dodging it, which is not characteristic of him. We have had many tenant issues, which I put on the fact that ALL of my tenants are of the welfare-class. Garbage in, garbage out. This is the reality of renters in these areas, so be realistic about it yourself. The actual return has been less than the theoretical maximum because of short-paying or non-paying tenants, damage to units, vacancies that stretch for months, legal charges to evict tenants that run into many thousands per eviction, and, recently for me, repairs to rehabbed units that so far have cost me a small fortune. The numbers quoted by Elite are not achievable. I no longer share the vision that as Elite goes through more buildings in more areas, things will generally keep improving in the southside for landlords. The sheer scope of the blight is beyond Elite's abilities. They have simply underestimated the depravity of renters who have accepted failure and have huge chips on their shoulders. I told Alex in the beginning that if things worked well for me, I would become one of his best customers. I can't do it in the raw number of buildings purchased, but I can do it as far as backing him and Elite and doing my utmost to continually invest with him when I am able. Unfortunately, my experiences thus far have given me second thoughts about pouring more money into a hopeless part of the world, owing in large part to the Elite's mismanagement of my portfolio and the lack of responsiveness I have received during the times when I needed it the most. We have now been losing thousands for the past two months, making $0 for April 2017, after 2.5 years of never hitting the theoretical potential and always being short $1-3K. A big issue for me is the surprise every month on my owner statements. My payout is always less (much less, lately, $0 currently), and is packed with charges that are inadequately described. I do not get quick, concise responses from Elite when i inquire, which is every month. Some of Elite's staff is exemplary, like Leah K. However, they are swamped and cannot answer the myriad of issues promptly or completely. The follow-up to conclusion is rare, as I have to email may times to get partial answers. It is maddening, but the last straw for me is when my portfolio is half-rented, and still running in the red, and I do not receive prompt attention. This review can change over time if things turn around, but for now, my experiences have reached the breaking limit and I cannot endorse buying with Elite. Elite Invest was recommended to me by a friends and I eventually decided to purchase a couple of duplexes from Alex. I was a little nervous at first but he assured me that soon I will be glad I invested with Elite. I am happy to say that I am pleased with my decision to do business with Elite Invest. When Alex says, “I promise” or “take my word,” he means it. I'm currently seeing better-than-promised returns on my investments. I am waiting for some funds and as soon those come, I will purchase more from him. I am and will continue to recommend Elite Invest to friends and relatives. I met Alex a few years ago and almost immediately invested with him and his company after visiting his operation. I have learned many times over in business that you invest in the people as much as you do the product. There will be bumps always in any investment and what I liked about Elite and its staff, similar to what others have written in their experiences, is the way they handled my issues, most of which were minor. They are very client protective and place high accountability on themselves if they make mistakes--that i like. Its easy for people to be great when things are going great, but i liked how they handled things when there would be a problem. There are many growing pains for fast growing companies and having built many companies myself, I see it almost entirely up to the CEO as to where the vision drives the business. Watching this company grow has been fascinating the past couple years and being a part of it even more exciting. Innovation, Creativity, Resourcefulness are some of the key ingredients in making a business run and run successfully. Alex and his team are without a doubt quality people with great intentions, They place a high emphasis on providing a quality product and always improving on the customer service aspect of their business. Although the area of customer responsiveness can improve, i am confident it will and have seen changes for the better on a consistent basis. For anyone looking to invest or tour their company locations, I would highly would recommend it. I personally searched for many companies and toured several before making the investment. I decided after weighing all of my risks, rewards, appreciation potential and more, that I would commit a sizable investment with them and I did pretty quickly after my visit. Overall, I loved the product, numbers, quality of rehab and most importantly who was running the operation. I currently own 40+ units with his company and have invested over $4M USD and i will say i am confidently happy. I could see this company becoming much more than a turn-key investment company and growing to become a very sizable real estate investment company in my opinion, but for now its good to be a part of all of their endeavors and opportunities that come with it. Cheers to Elite Invest and their growth. I have been in contact with Alex and his team prior to Elite invest. Alex have always been great to speak with and provide honest opinions on the properties and what are the pros and cons of each one. Alex understands the items I was looking for one when I was searching for a property. He was able to found the perfect one for my first property in Chicago. I have been a owner with Elite Invest since the beginning and have nothing but great experience working with the company. Their policy of being open and honest with their owners is the reason why I decided to invest with Alex and his team. The company have been growing. I have had the distinct pleasure to work with Alex and his staff at Elite Invest for the last 3 years. As a business owner myself, I understand the importance of quality and integrity in every aspect of one's business. The entire Elite staff exemplifies both of these attributes. This is evident from their interaction with clients and co-workers to their attention to detail in workmanship. The result is beautiful homes,great value and a nice return on investment. I currently have 4 homes with them and plan to buy many more in the future! I have recommend them to my family and friends who are purchasing with Elite as well. Highly Recommend ELITE!! I have been investing with Alex and EliveInvest for over a year now and am now the proud owner of two properties in South Chicago. Being fairly new to investing out-of-state, and having already heard my fair share of bad experiences through others, I am really glad to have partnered with Alex thus far. He is not only well spoken, smart, efficient and decisive, but has also acted with the utmost integrity and care throughout all of our engagements. The business seems to be growing fast, and as such there are always new staff members and processes to be fine tuned. Alex has always received my feedbacks well and genuinely does his best within reason to accommodate my requests. Recommended! I'm an overseas investor with little to no time to dive into the details of completing a real estate purchase. With the excellent professionalism and customer service provided by Elite Invest I not only purchased one but four properties from several time zones away. Elite Invest is the definition of turnkey. The team guiding me through every state of the purchasing/ownership process with minimal effort on my part while provided all of the information that needed/requested. I'm confident that my purchases will provide excellent passive income for years if not decades to come. I actually meant to give Elite Invest 5 out of 5. I had zero issues with any of their services. This review is somewhat lengthy but bear with it as I’m hoping I can offer everyone a broad perspective of Alex and the Elite Invest team in comparison to other turnkey providers. For the past six years I consulted for well-established CA-based investor group that assisted its investors in developing a passive income portfolio primarily through turnkey investments. I was responsible for identifying, evaluating and performing due diligence on turnkey operators, their submarkets, and the properties they wanted to sell to our investor base. I literally traveled the country to vet turnkey providers before we put them in front of investors (and put the Company’s reputation on the line). I’ve seen a lot of the good, the not-so-good, and a lot of things in between. Layered on top of all that, I’m a very active investor in my own right and also own properties with Elite in my personal portfolio. Integrity. If I had to single out one word to describe Alex, the word “integrity” comes to mind. In all my dealings with Alex, he has been honest, transparent and true to his word. Alex addresses issues head-on and holds himself and his team accountable. That says a lot about him and goes a long way with me. Additionally, he’s friendly and professional, communicative, very sharp, and easy to work with. Elite Invest is built on this foundation and my interactions with the Elite team have been similar. Systems/Processes and Economies of Scale. One quality that Alex and Elite Invest share with other top-tier operators is a focus on business systems and processes. Systems and processes always seem to be top of mind for Alex as he’s always looking for ways to improve the Company and its operations. I have watched this company grow from near infancy to where it is today as a result of the processes implemented (i.e. automation, workflow, working smarter). It has allowed the business to scale up and conduct business more efficiently. Elite Invest is built with the future in mind. On the flip side, while there are many good small operators those companies need to remain small. As soon as demand and volume pick up, the small operators don’t have the right systems in place and they struggle to keep up. Eventually, they “break” – timelines slip, they become disorganized, communication stalls out, etc. And in the back of your head, you begin wonder about the company’s longevity. Simply put, I’ve found that the best operators, like Elite Invest, focus on developing, growing, and improving their BUSINESS for the long term whereas the smaller operators focus on closing TRANSACTIONS in the short term. Superior Rehab. With volume and economies of scale also come additional deal flow, volume discounts, and strong vendor relationships. It seems that Elite is able to capitalize on all of them to consistently deliver a thoroughly rehabbed product that performs as financially projected. Easier said than done. Elite Invest’s approach is to redevelop properties from the inside out, often starting at the studs and replacing the “guts” of the property as necessary – plumbing, electrical, mechanical systems, structural, drainage, etc. before the aesthetics. Too often I’ve had the experience of being paraded into a newly carpeted or painted room only later to discover old galvanized plumbing, knob & tube electrical, a 10 year old water heater or a 30 yr old furnace way beyond its useful life tucked away in the dark underbelly of the house. FYI – these are the most critical areas to be addressed in any rehab (and the most costly to repair upon failure). What investors and tenants will instantly notice about Elite Invest’s properties is the level of interior finishes on the product: granite countertops, new 42” mahogany cabinets, new appliances, glass tile backsplash, two-tone paint, etc. Candidly, as someone who has rehabbed flats on the South Side, I initially thought the finishes were (unnecessarily) above and beyond “the standard” for the neighborhood. But to Alex’s credit, he figured out that he could deliver a product with nicer interior finishes for basically the same cost that rehabbers like myself were incurring for formica countertops, basic cabinets, laminate flooring, etc. The result: Elite clearly has the competitive advantage for qualified tenants in the submarket. They like Elite’s product. They stay on longer. Consistency of Financial Performance. Unfortunately, too often investors are given inaccurate financial projections that don’t accurately portray the true ROI or cash-on-cash return on a property. For instance, you won’t see a vacancy allowance or a maintenance reserve included in the projection. Be sure to build those reserves into your projection!! Over the years, I’ve referred friends & family and other investors to Elite Invest. Many are repeat buyers. The feedback I consistently receive is that Elite’s figures are realistic and the property comes very close to performing as originally projected. That isn’t to say there isn’t tenant turnover or never any repairs but those items are budgeted for and the net returns come in line with projections. Further, because of the “like new” quality of renovation, the potentially large capital expense items highlighted above have already been addressed. And by fully replacing those items, Elite Invest is able to reduce the number of tenant maintenance requests and investor charge backs. Local Expertise. In terms of the local submarket, a lot can be said of the South Side of Chicago and the general stigma that persists there. To the uninformed, it likely appears that the entire South Side of Chicago is a “war zone”. That’s far from the truth. It certainly has its rough areas but not the areas in which Elite Invest operates. How do I know that? Well, I first met Alex and team several years ago while my business partner and I were acquiring and rehabbing 2-4 unit buildings in select neighborhoods on the South Side. Alex was buying, rehabbing, or managing in the exact same areas in which we were buying. We took note and recognized he knew the submarket (and block numbers) and the tenant base very well. Today, he and his team know the local area better than I do. Sounds good, right? But without the guidance of a local market expert who has a strong network, the competency to deliver a quality product, and the ability to properly manage it, you might as well be flying blind. Then you’re just rolling the dice. Of the many operators I’ve evaluated and of all the markets that I’ve visited there really are a select few operators that truly stand out. Elite Invest is one of those companies. Is Elite Invest perfect? No, no provider is. But they strive to be better. And I’m of the opinion that they will communicate openly and honestly with you, be held accountable, and do their best to “make things right” if they are in a position to do so. That’s a very rare find these days. Sorry, I know that was a long review but I hope you find my comments helpful as you evaluate Elite Invest. Thanks for reading. My experience mirrors closely what others have already said. I first got wind of Alex and his turnkey company Elite through a fellow Bay Area investor who had purchased a couple of duplexes from Alex. His experience was good overall. A few hiccups related to late/no payments. I started off doing a ton of research on what questions to ask and what to look for with turnkeys providers and more importantly the property management side of things. I had a couple of extensive phone conversations with Alex and he seemed to have all the right answers. My wife and I then took a trip to Chicago to see the properties firsthand. Alex was out of town that weekend, but we got a great tour with Chris J. We were on the tour with another couple interested in investing and overall ti was a good experience. I had reservations about the neighborhoods that the properties were in, but the tour helped show that these are working class neighborhoods with working class people. Yes, there is a high level of crime in some areas, but that's why you have to do your due diligence on each property. We were under contract for a duplex and close in about 2-3 months. The closing went smoothly. I went with the preferred lender (Bluestar) to move things along. About 1-2 weeks later both units were tenanted and I began receiving my rents. It's been about 1 year on this first duplex and aside from one tenant habitually late with their rent and some minor repairs here and there (outside 6 month parts and 12 month labor warranty). The PM representatives are fairly response. I think they are getting better with time. The PM portal they use (AppFolio) leave much to be desired though. Ideally, I'd be sent a notice any time a exception happens (late rent, repair, etc. ), but the platform lacks this and I have to login periodically to see what's going on. Overall, my experience over the year has been positive and the numbers are accurate. I went into contract for a 2nd property and closed recently. Alex and his team continues to grow and improve in construction quality, time to complete (a major complaint with Elite investors early on was the delays with the rehabs), and PM communication. Alex is a standup guy and takes pride in the company that he built. This really shows with the constant improvements I see. Their property tours look better organized these days and their main office relocated from a basement of one of their properties to a fancy location downtown. They seem to have all the right pieces in place and will keep growing as their reputation grows. I have been working with Elite Invest for over 3 years now. I provide conventional financing for a majority of their buyers and could say that a big chunk of their buyers return to purchase more properties. Since I speak with a lot of their clients, I can tell firsthand how pleased they are with the service provided by Alex, Sunny, and the Elite team. Anyone can express gratitude but it speaks volume when Elite’s clients come back to purchase more inventory, and I can say that this happens more times than not. I am constantly being asked, “What do I need to do to qualify for the next property?” I can say that I am also a happy Elite client looking for the next purchase. Elite invest is certainly standing by their name “ELITE”. I'm an out state investor in CA. Because the area where I live is famous for no cash flow, so I decided to try out state turnkey investment. I've investigated several markets with different turnkey providers which I think the market make sense and the return is decent. Among all these providers, Elite Invest, provides the best rehab work. Because I am a Realtor in CA, I like to get prepared before I jumping in. The same way I do with my clients to better serve them. So I asked a whole list of questions regarding investing with each individual turnkey providers and their operating markets. Alex, the owner of Elite Invest, is the only one that answered all my questions, not simply saying "It depends" (I know in some cases, this answer could be true, but not to the specific questions I asked). He was also willing to meet me face to face for 2 hours before I committed to invest with his company. Alex also recommended me the best inspector he used in Chicago area for his own house. Because this inspector, I've been buying more investment properties than I originally planned in the area. That is how good this inspector is, although his thorough inspection also made a longer repair list for Elite Invest's rehab work. Due to several issues (most of them out of Elite control), my first investment was not as smooth as I though. But Alex was able to keep his words, and keep me posted on the progress. At the end, that property turn out to be the best investment property I've got so far. 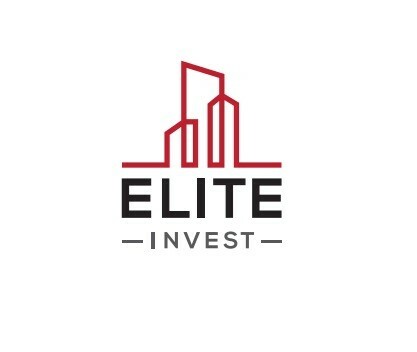 For all the reasons I mentioned, I'm 100% satisfied with Elite Invest, their products, their services, and most importantly, the people I work with. 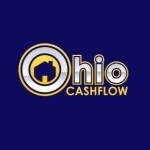 They have been helping me buying and managing more properties. I would recommended Elite Invest to all investors buying turnkey properties. I have been investing in property for a number of years. Experience has shown me that things don't always go 100% according to plan. I had one such experience on a purchase I made last year (no fault of Elite). Not only did Elite take ownership of the problem, they came up with a game plan to correct it and ultimately got things back on track. Anyone can do well when things are going well. It spoke volumes to me how they handled things when an issue arose. 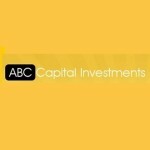 Elite is a good property investment group for beginner and experienced investors alike. My experience with Elite has been exceptional. I was very impressed with the quality of the rehab and how smoothly the buying process went. I also find it a big plus that Elite has a management company that takes over after the the property has been purchased. Alex stands by his word and any issues that popped up, he has made sure were resolved. I have had a very good return on my investment and would definitely recommend Elite to a friend or family member.